None of us wants to emit an unpleasant odour, which may affect our social appearance. 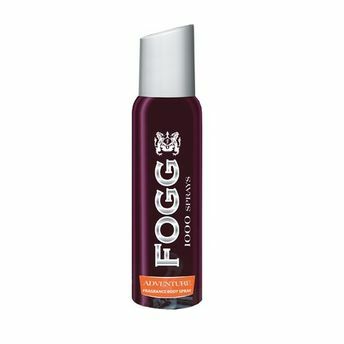 Fogg 1000 Sprays Adventure is crafted to perfection to keep you refreshed. Leave an everlasting impression with its woody and fresh notes. A distinctive scent helps you to stay fresh for longer time. Gives you soft and dry feel for whole day. Provides 24 hours protection from body odour. Get Fogg 1000 Sprays Adventure and stay confident.